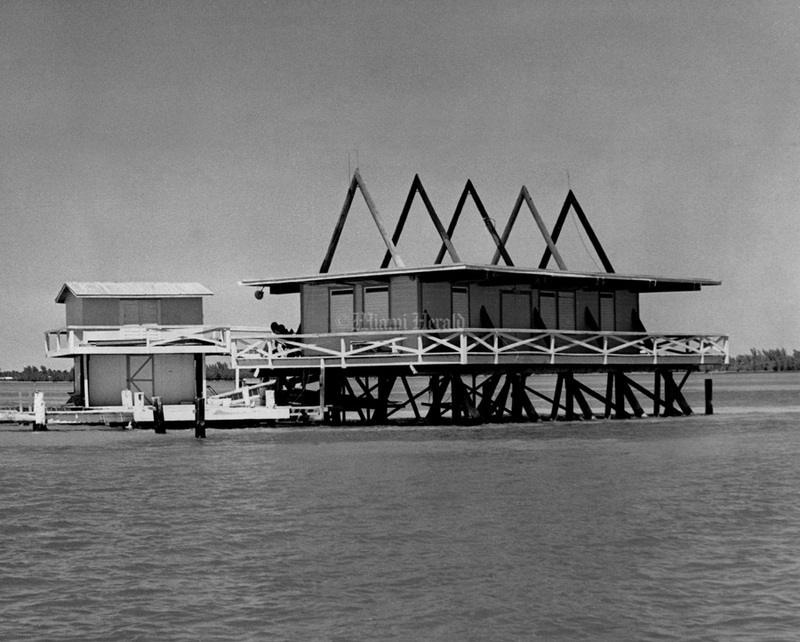 For generations, Miami’s Stiltsville neighborhood in Biscayne Bay has been the subject of fascination, and occasional controversy. 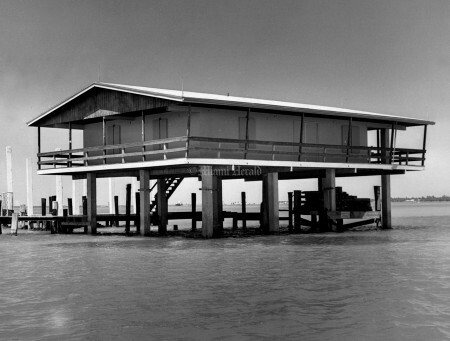 At one point, there were as many as 27 stilt homes, but now only seven survive, built on wooden and concrete pylons two miles offshore in what is now Biscayne National Park. 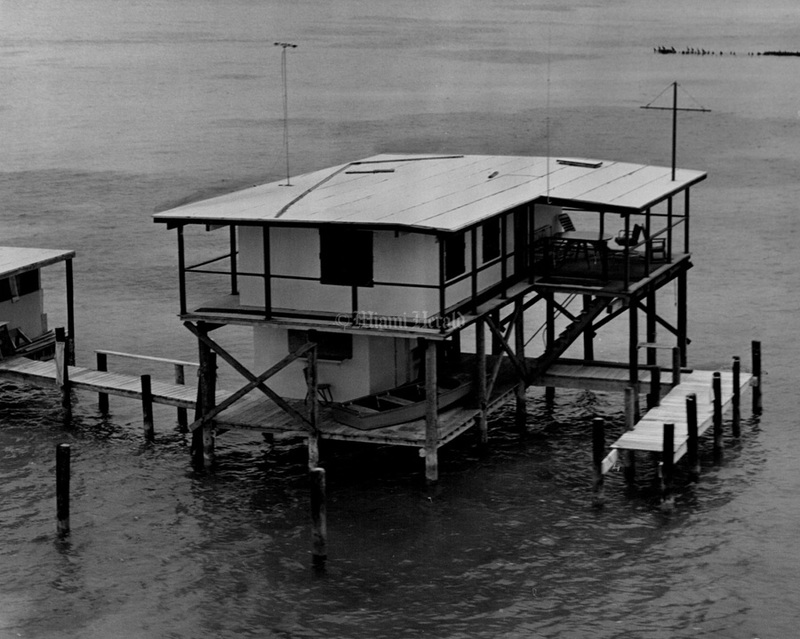 Stiltsville was once a remote getaway for politicians, judges and other Miami bigwigs to gamble and drink illegally during Prohibition. 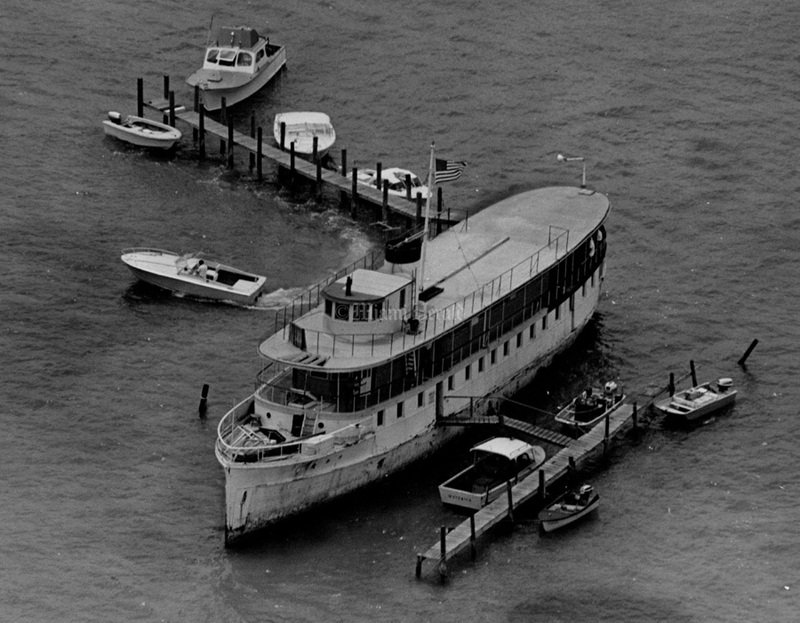 Later on, it became the site of legendary house parties on the water, including one that resulted in the collapse of the building. Published July 26, 1965: Miami Herald Staff Photo -- Stiltsville given a reprieve as the "clean up" bogs down. A two-story structure is one of Stiltsville's houses. No armada of state agents will be sailing into the Biscayne Bay flats Aug. 1 to knock the props from under their over-the-water homes. Four or five years ago the then officials of the state Internal Improvement Fund said they wouldn't renew any leases or permit any occupancy of the Biscayne Bay flats after Aug. 1, 1965. 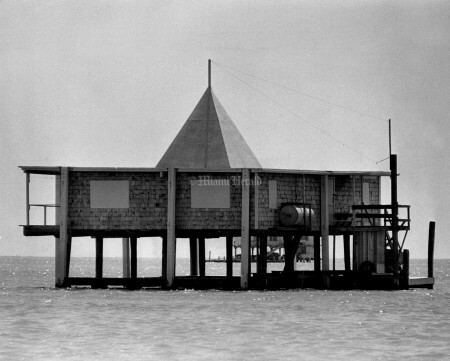 But right now those trustees couldn't care less whether Stiltsville sinks or swims. 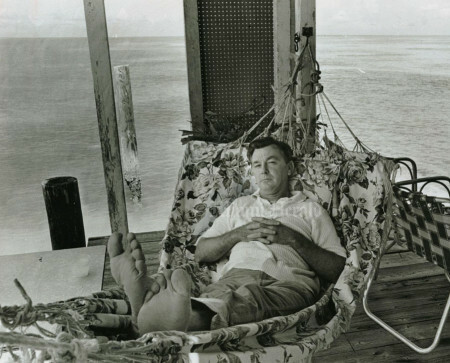 8/16/1965: Eamon Kennedy/Miami Herald Staff -- Stiltsville. 8/16/1965: Eamon Kennedy/Miami Herald Staff -- Stiltsville. Published August 22, 1965. 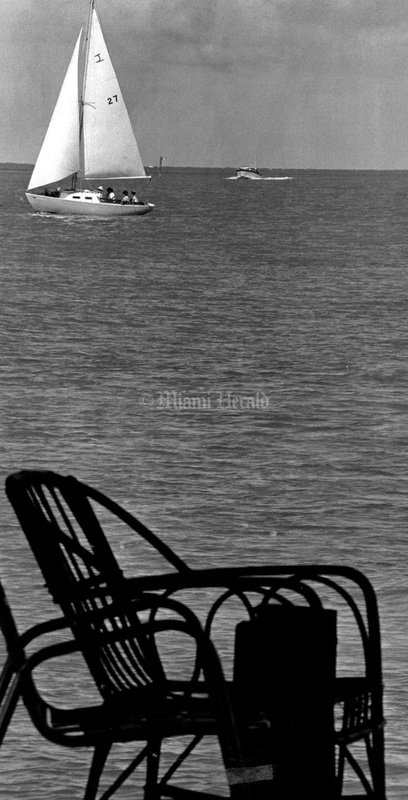 3/21/1968: Bill Kuenzel/Miami Herald Staff -- Published April 7, 1968. Landlubber's house is mounted on pair of barges. Stiltsville is getting downright toney. 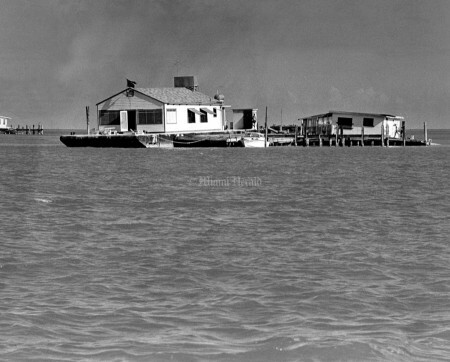 When Hurricane Betsy churned up the bay several years ago its salty citizens were forced into an urban renewal program that has almost erased the city's slums. 3/21/1968: Bill Kuenzel/Miami Herald Staff -- Stiltsville. 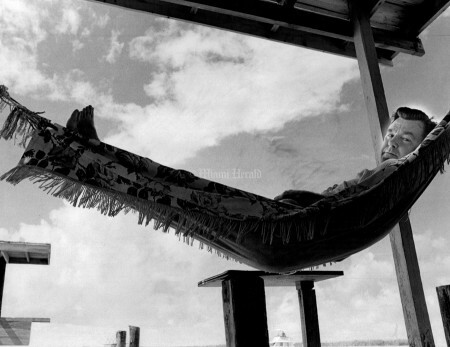 Published April 7, 1968. 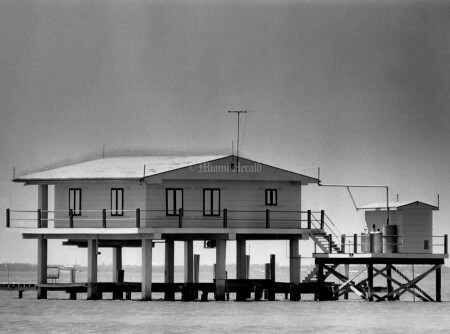 This photo has been retouched by the original artist to outline the roof line. 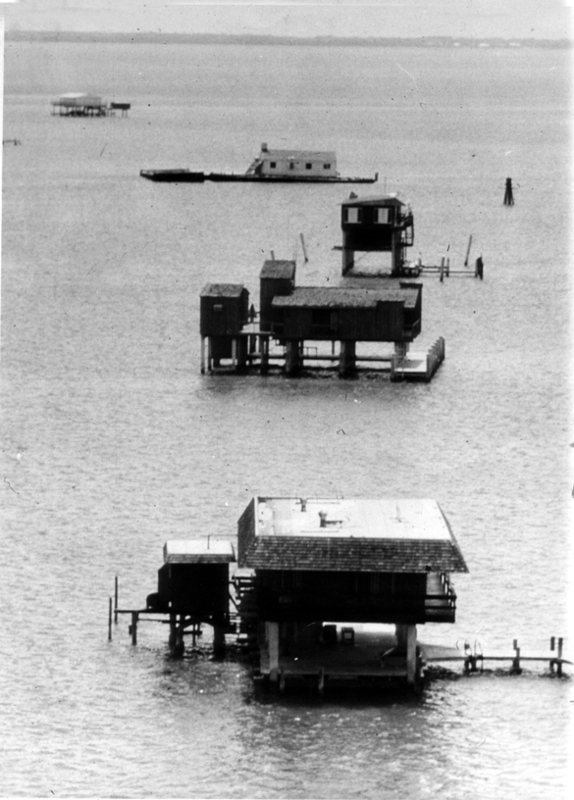 3/21/1968: Bill Kuenzel/Miami Herald Staff -- Stiltsville. 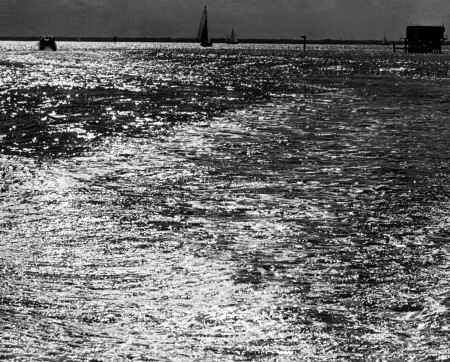 Published April 7, 1968. 8/25/1983: Peter Andrew Bosch/Miami Herald Staff -- John Nichols sands down a redwood railing that surrounds one of the houses at Stiltsville. 12/31/1989: Peter Andrew Bosch/Miami Herald Staff -- Stiltsville. 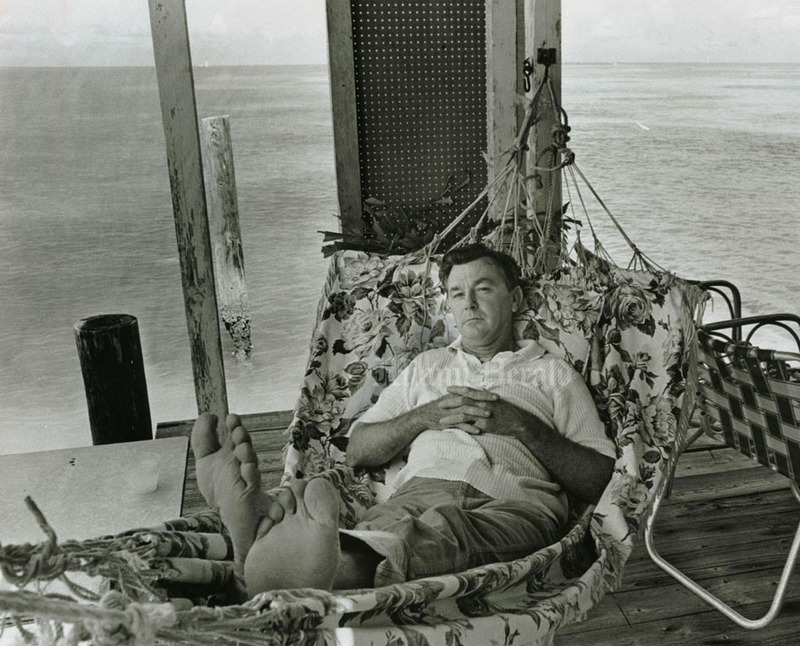 8/16/1965: Eamon Kennedy/Miami Herald Staff -- Judge Knuck at Stiltsville. Published 8/22/1965. 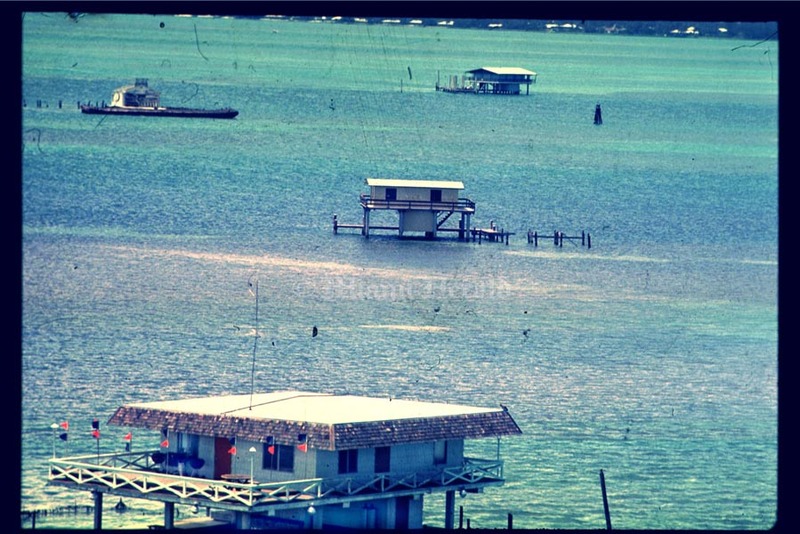 6/14/1992: Jon Kral/Miami Herald Staff -- Victim of Stiltsville collapse is being worked on in the bottom of a Marine Patrol boat by Metro para-medics. 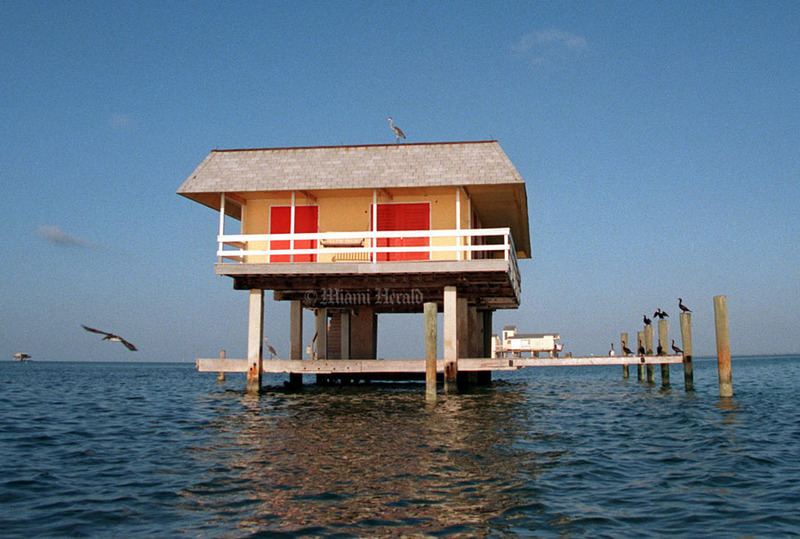 A crowded house in Stiltsville partially collapsed in a rainstorm during a big annual party Saturday -- plunging dozens into Biscayne Bay and injuring at least eight people. 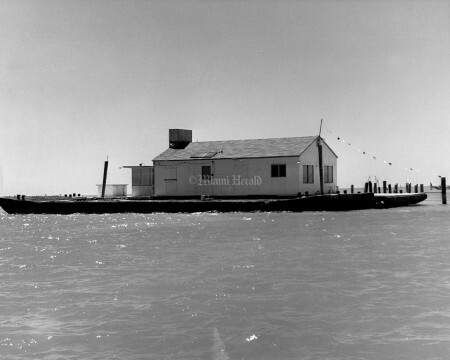 All the injuries were minor. 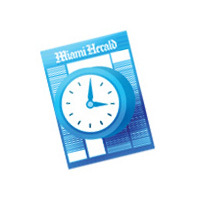 Steve Ianuzzi, 34, said at least 200 people were packed "body to body" inside the house, dancing and drinking, when the center of the building "collapsed into a big V."
6/13/1992: Jon Kral/Miami Herald Staff -- Metro rescue truck is filled to the max with victims of a Stiltsville home collapse. Stiltsville is off Key Biscayne. Note gash on woman's thigh. 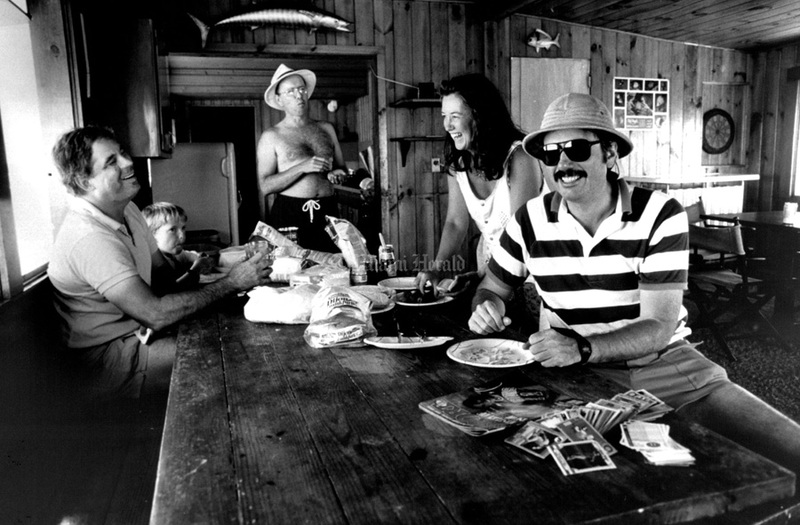 4/21/1988: Al Diaz/Miami Herald Staff -- From left, Rick Bischoff, part owner, his son Brit, 11, Bill Hoppe, part owner, Jody Steele and Barney Steele, wearing safari hat and striped shirt. 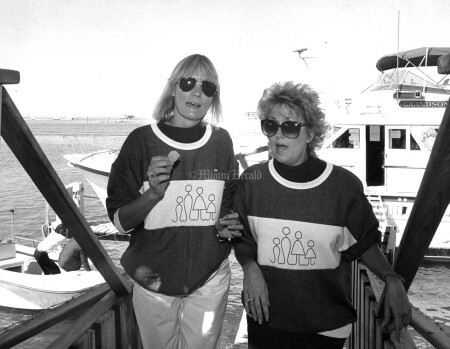 2/26/1989: Peter Portilla/Miami Herald Staff -- Annette Merritt and Bev Stover, Big Brothers/Big Sisters, at Stiltsville. 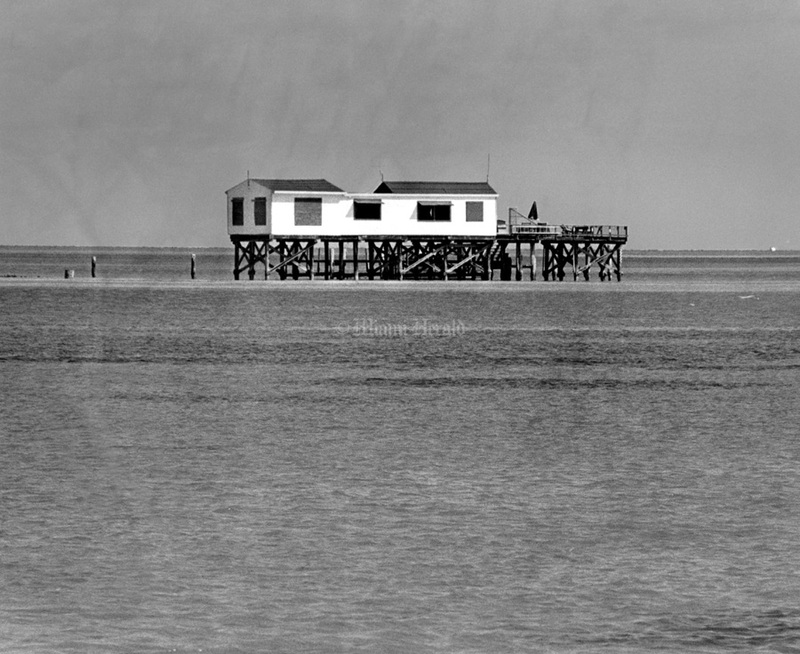 On a crisp day as clear as you could please, Big Brothers / Big Sisters reinstituted its Shipwrecked at Stiltsville party, a tradition that somehow faded a decade ago. 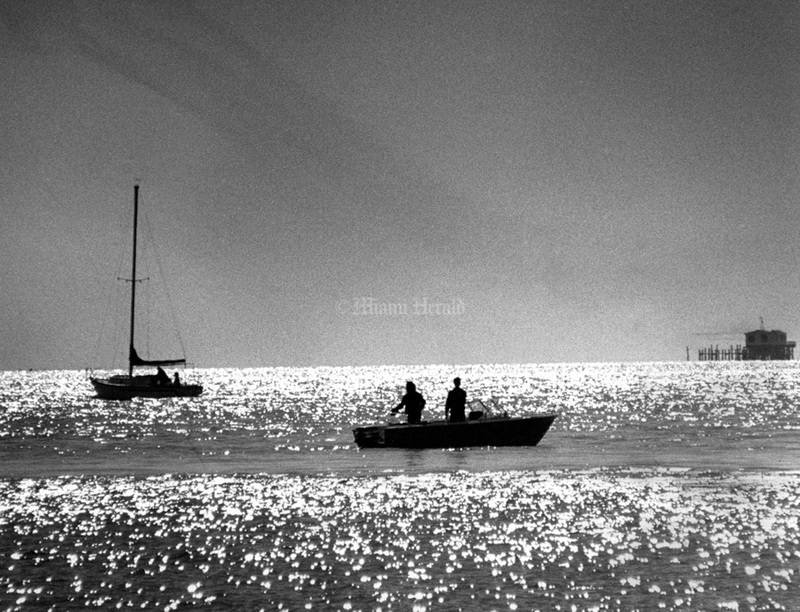 The 80 or so guests came by boat, either their own or the 70-foot charter, Grandson, donated for the day, to a house a bit to the south of Key Biscayne. That's where you find Stiltsville, a community of 14 houses built on pilings over Biscayne Bay. 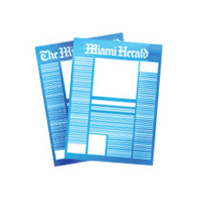 8/1/1987: Aixa Montero/Miami Herald Staff -- Bill Hoppy, past president of Dade County's Bar, throws annual bash for the young lawyer's section of Bar. 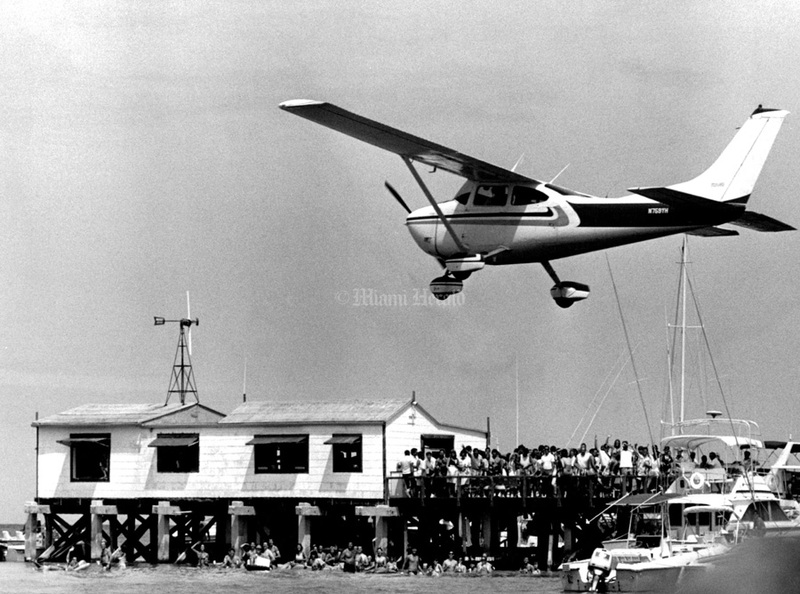 Here the Party is just getting off the ground as someone buzzes the party. Made 3 passes over house. 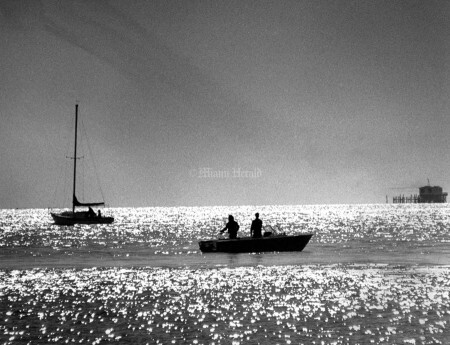 Published August 6, 1987. 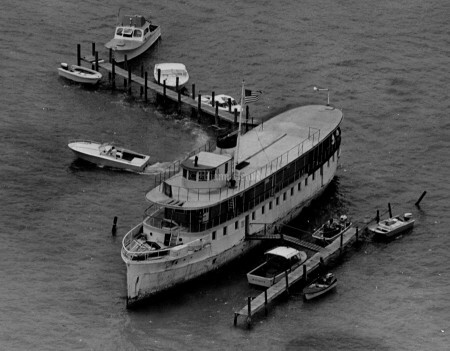 6/13/1992: Jon Kral/Miami Herald Staff -- Victim of Stiltsville house collapse is loaded into Metro rescue truck at a Key Biscayne marina. 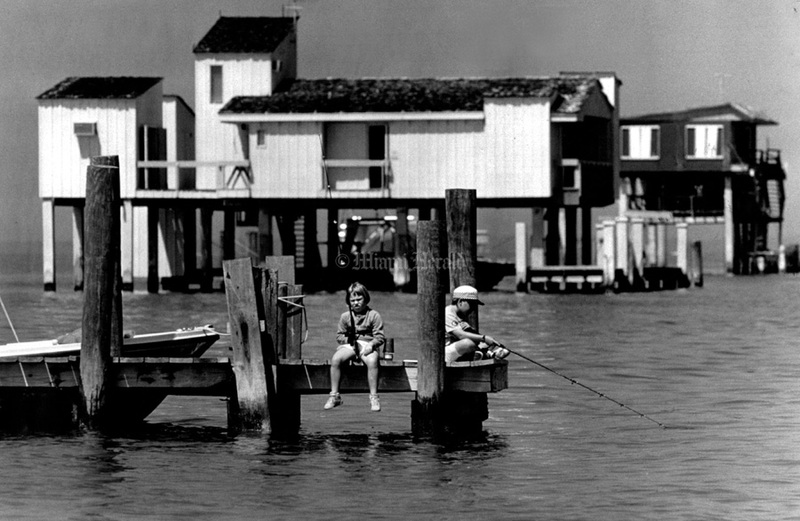 8/16/1965: Eamon Kennedy/Miami Herald Staff -- Mr. and Mrs.Knuck at Stiltsville. Published August 22, 1965. 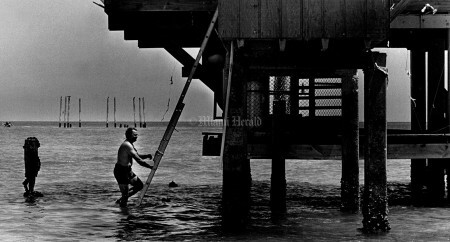 8/25/1983: Peter Andrew Bosch/Miami Herald Staff -- Boyce Ezell is climbing a ladder to fix a fence that was torn down by vandals at Stiltsville. 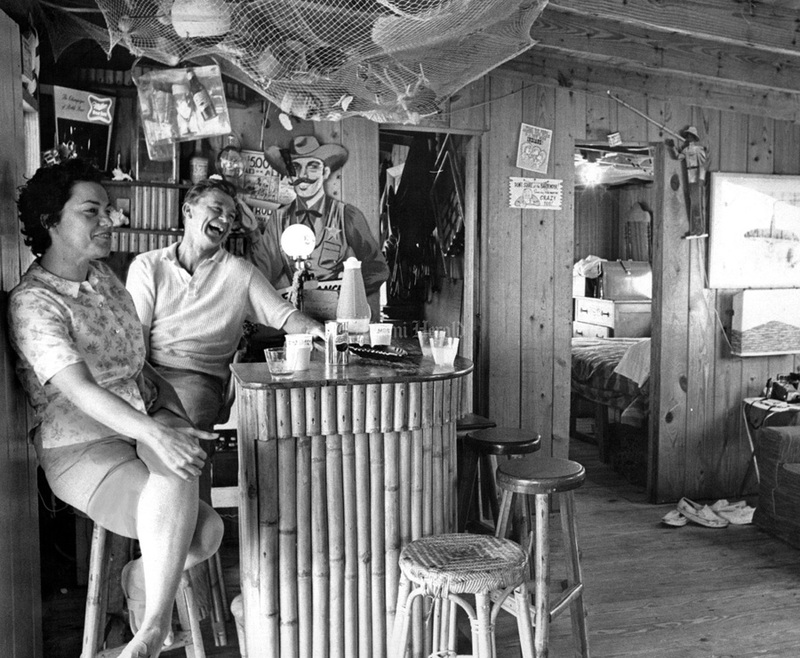 7/24/1965: Bill Kuenzel/Miami Herald Staff -- Bikini Club at Stilltsville. 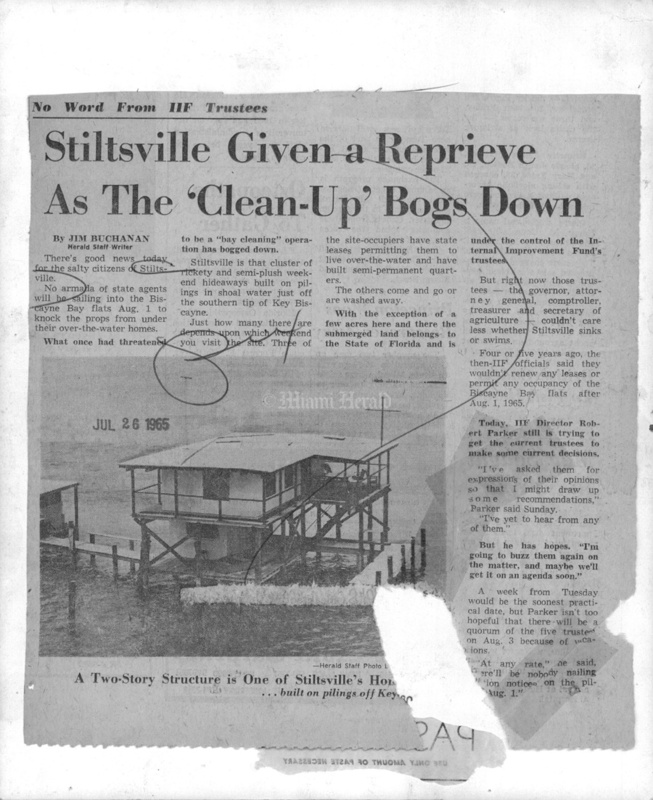 Published July 25, 1965. 4/20/1988: Al Diaz/Miami Herald Staff -- Sara Goldsmith, 6, and brother Bryan Goldsmith, 9, fish on a dock in Stiltsville. 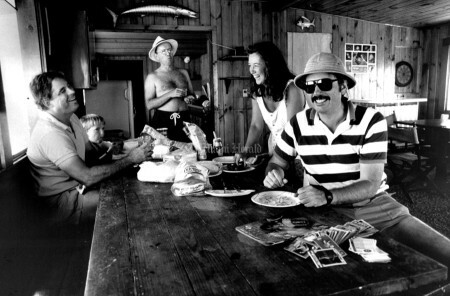 Published April 24, 1988. 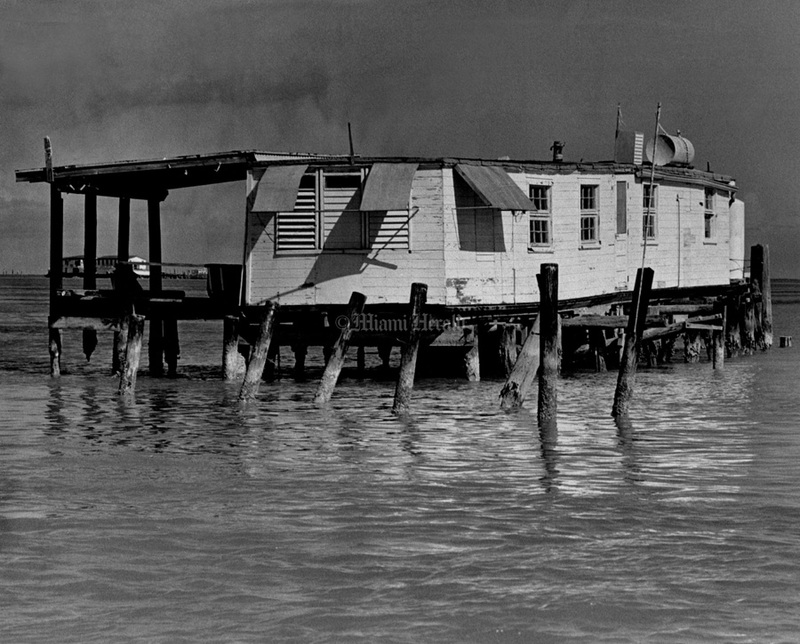 9/26/1998, Carl Juste/Miami Herald: Pictured is one of the several stilt homes that still remains in the Biscayne Bay. 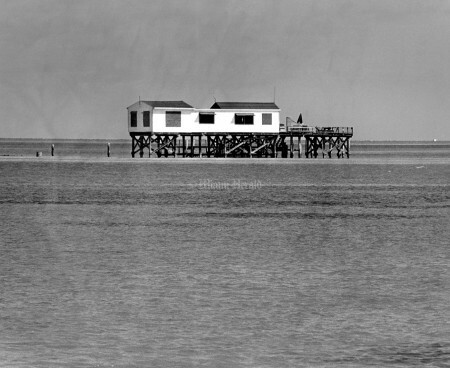 4/16/65, Eamon Kennedy/Miami Herald: Judge Francis Knuck - Stiltsville. 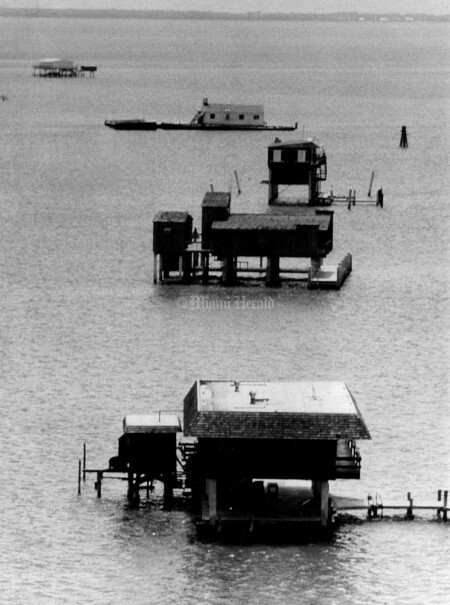 1970, John Pineda/Miami Herald: Stiltsville; A scene from Miami. 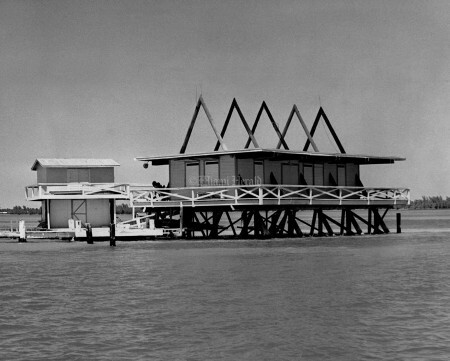 The charm that helped make Miami a water front city.